San Churro is committed to late-night trading, however awareness of the extended opportunities to celebrate with chocolate was low. Late night foot traffic was in decline, whilst the competitor market was on the rise. Our challenge was to make our audience aware of San Churro’s late night hours and to get them through the door for an after hours celebration with chocolate, friends and family. To maximise a small budget, we needed relevance and efficiency. Our audiences were separated into three distinct age groups: 13-17, 18-24 and 25-34 using insights from San Churro and our proprietary Social Pulse software. 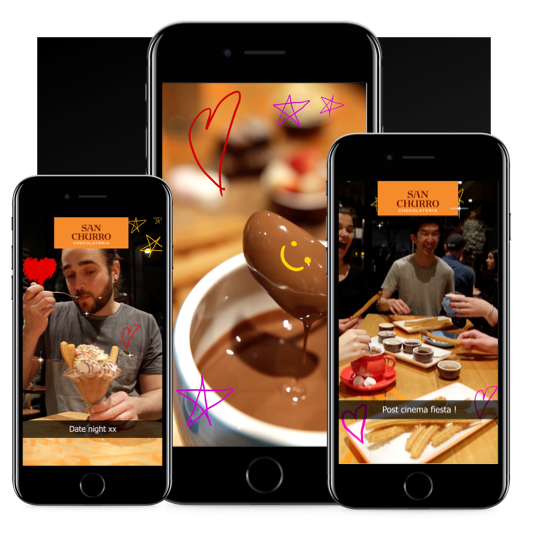 Set in a San Churro Chocolateria, these snapchat-style videos depicted relevant moments experienced by our target audience. 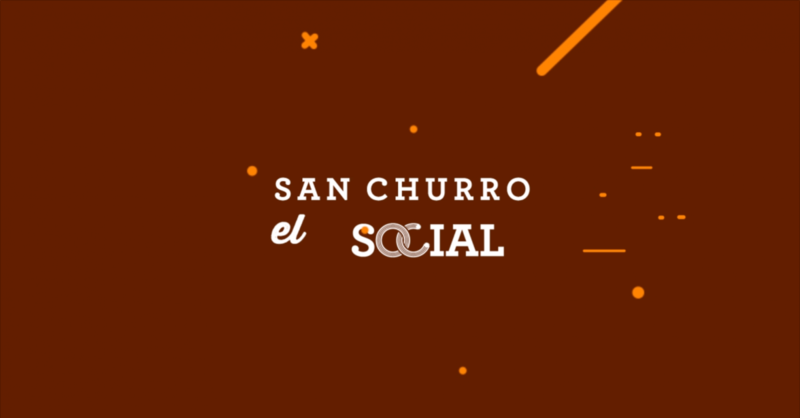 From a couple’s date night to an overdue catch up with friends, each story captured appetite-appealing mini-stories, overlayed with emojis, drawings and engaging animations that reflected the fun, playful San Churro brand. The videos were distributed where our audience spent most of their time, Snapchat, and they were augmented via Facebook and Instagram video and photo posts, optimised for reach and frequency. Additional posts with local area and intention targeting were created for Search. The campaign reached a total of 729,930 people. A total of over 5M impressions. Lead by the 13-17 year old age group and closely followed by the 18-24 year olds. Our product-focused creative was highly successful in driving traffic to the website. 2.6M impressions and 12.1K swipe ups.